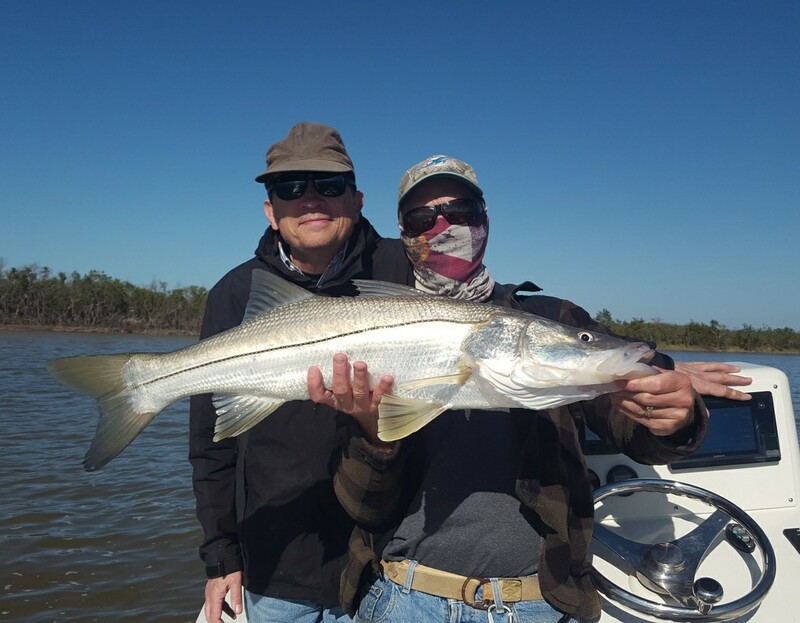 December fishing in Islamorada snook/drum/tarpon - - - 2 messages. Showing 1 through 2. Well a few days ago we got hit hard by a good cold front and the temperatures plummeted down into the 50s here in Islamorada, FL. We also had another reinforcing front back that one up, so things stayed chilly. The water in the backcountry bays dropped into the high 50s as well in some portions. Though a day after each front passed the winds laid down and gave way to some epic fishing. Today I had Pam and Lars down from Arkansas and we fished deep in the everglades. We got out early and were loaded up with some nice lively shrimp. When the water temps drop this far, usually everything is pretty keyed in on shrimp - they don't want to work too hard for that meal and expend a lot of energy. Working them very slowly on the bottom, really just letting them lay and twitching every so often, works wonders. Once we got set up and the tide started moving in, it was game on. 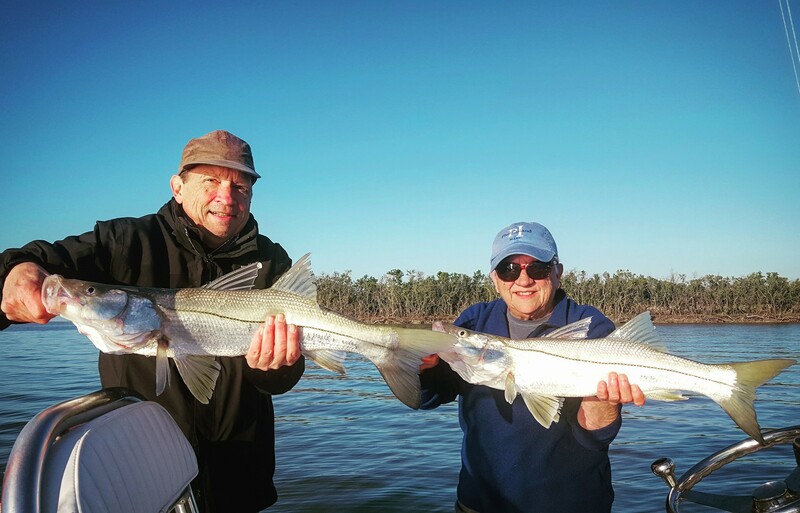 Pam and Lars each landed well into the double digits on snook, and quite a few 'big girls' for us... fish in the 8 to 12 lb range. Multiple double headers it was a blast! We also had quite a few black drum and nice redfish too. Very good to see the reds as they've been hard to find especially in the summer time, as much of their habitat has been beat up due to algae blooms and grass die off. But in the winter they do show up in the 'winter time holes' along with their cousins the black drum, snook, and sheepshead. 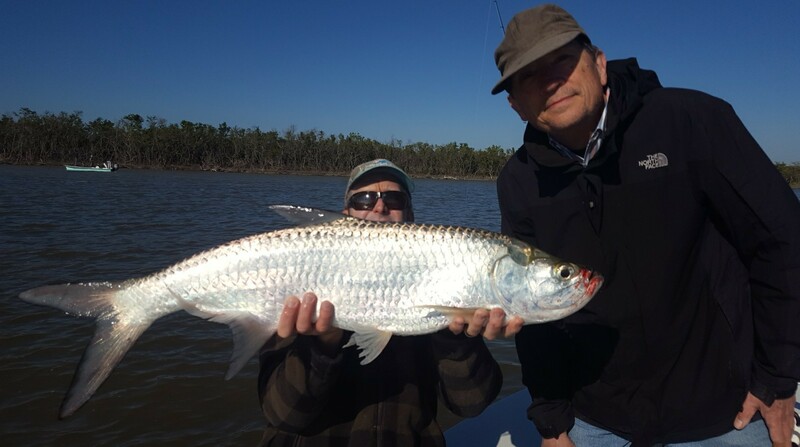 We also saw several small tarpon rolling about. I didn't have much hope that they would bite but knew it was a possibility. 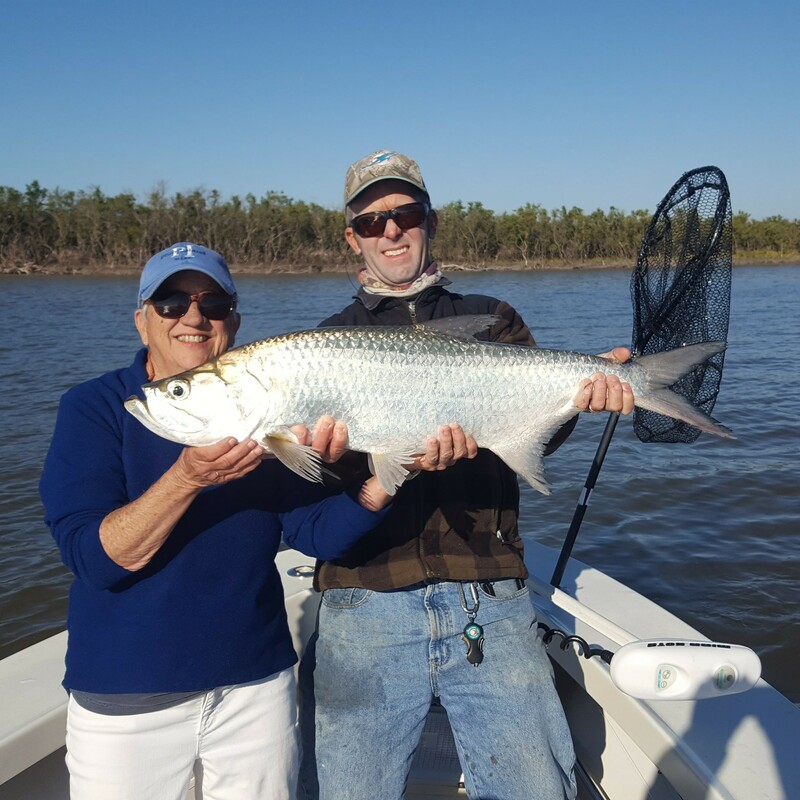 We kept throwing in their direction, and soon Pam hooked and landed a nice 25 lb tarpon! Not to be outdone, Lars got one about an hour after that. Backcountry SLAMS for both anglers, wow! We continued catching fish for several hours it was just epic, also got a few trout mixed in which we kept for dinner. 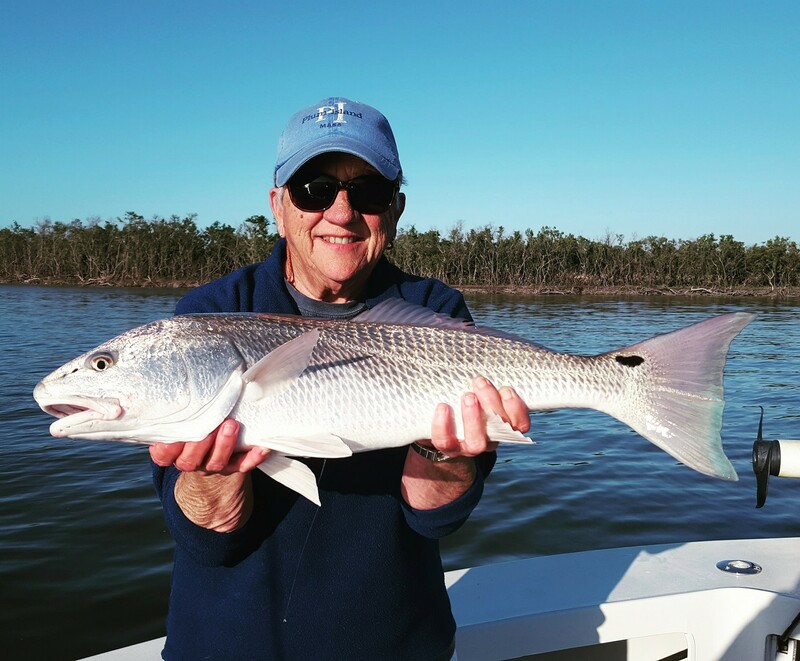 I don't particularly like killing our drum, especially the redfish, due to the lack of numbers... and snook are currently out of season and also more of a gamefish for us too. On the way home we hit the gulf side to look for some triple tail. It was so calm and those fish like to lay on the surface near the crab buoys, sunning themselves and waiting for an easy meal. We saw quite a few but mostly little guys, though we caught several and got one that was big enough for dinner too at least. Just a banner day out of Islamorada in December fishing. I have the same crew again tomorrow and then several days open next week, come on down the fishing is great!